He’s the greatest coach that Major League Soccer has enjoyed – and maybe the country altogether. 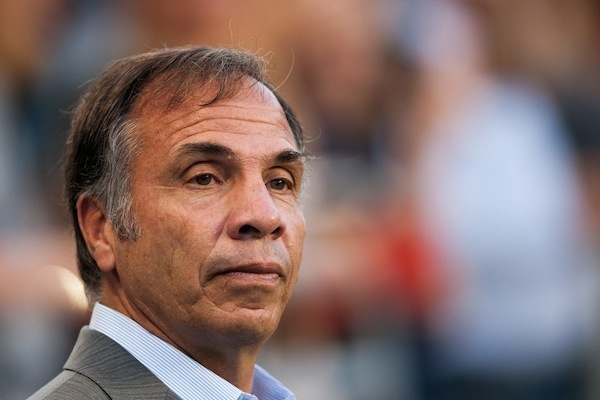 Bruce Arena helped turn MLS’s glamour squad into a bona fide champion three times over. Before that, he helped the US Men’s National Team to its best World Cup finish in the modern era (not to forget its most disappointing as well). In American soccer, Arena has basically done it all. So what now? He could continue on in Los Angeles, where the Galaxy renaissance truly began upon his arrival. Or perhaps he could finally tackle the challenge his domestic superstar avoided – Europe. Some may laugh, others may agree – but if there’s an American-born coach who would be equipped to handle the big jump in stature, it would be Arena. In the City of Angels, his success appeared easier than it likely was. Arena had to deal with a wide array of players. He melded a Premier League legend (David Beckham) with a Brazilian workhorse (Juninho). He kept the nation’s most celebrated player (Landon Donovan) on course when the demons started taking his passion from him – even giving him a chance to take a break without missing much of a beat. He even took at shot at acquiring the league’s first openly gay player (Robbie Rogers) and helped him return from retirement into a major piece of this year’s Championship as a left-back. Not to mention he did all that while having to manage a relatively strict salary cap. In order to make such a situation work, Arena had to have a keen eye for talent in the academy and in college. These are all traits which would work well overseas for Arena, with one big difference – he wouldn’t have all the confusing rules and caps. The timing could be right as well. With Donovan retiring, Los Angeles is at a definitive turning point. If 2014 MLS MVP Robbie Keane also moves on, either new superstars will need to emerge from within, or the powers that be will need to find the next Beckham or Keane. In other words, Arena might not be up for a rebuild, even if the next DP’s are already lying in wait. Yet that doesn’t mean a move to Europe is in the cards, either. We’ve seen the struggles American players have in getting respect in European leagues, and we can assume the same can be said for American managers. One thing Bruce could have going for him is some well-known Europeans vouching for him in Beckham and Robbie Keane. When you can manage those two egos, and throw Donovan into the mix as well, you’ve done something special. Arena is past it. He’s stubbornly American in that he is suspicious and contemptuous of Europe. He’s happy in his 1998 mindset, and I really don’t see why this is even a discussion. He is an MLS manager at best. Unless by Europe you mean the Latvian Premier League, but I don’t think that’s what you meant. Arena always struck me as slightly xenophobic – he doesn’t strike me as one who would WANT to go abroad.